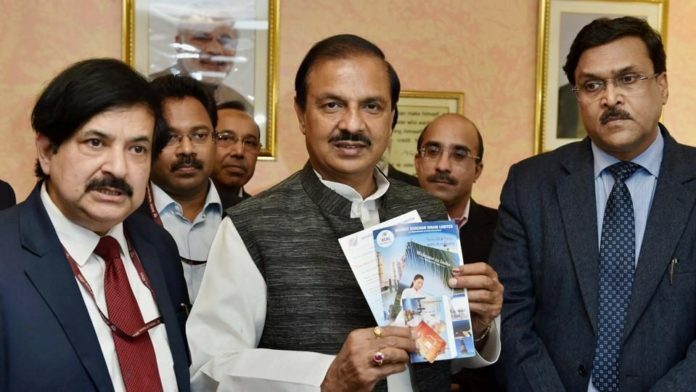 Dr. Mahesh Sharma, Minister of State (Independent Charge) for Tourism and Culture, launched the initiative of the Ministry of Tourism, Government of India for providing pre-loaded Sim Card to foreign tourists arriving in India on e-Visa here today. Addressing on the occasion, he said that this unique initiative will facilitate the foreign tourists in communicating with their acquaintances immediately after their arrival in India. Earlier, the Ministry of Tourism had also launched a 24 x 7 Tourist Helpline 1800111363 in Twelve foreign languages so that the foreign tourists can get the required information in their own language. The Minister presented the First Kit containing Sim to a representative of Travel and Tourism sector. Shri Vinod Zutshi, Secretary, Ministry of Tourism, Shri J.S. Deepak, Secretary, Ministry of Communications and senior officers were present on the occasion. This initiative has been launched in association with Bharat Sanchar Nigam Ltd., (BSNL), wherein BSNL would distribute pre-loaded SIM Cards to foreign tourists arriving in India on e-Visa. This facility will be initially available in the Indira Gandhi International Airport (T3 Terminal), New Delhi and later cover remaining 15 international airports, where e-Visa facility is currently available. To avail pre-loaded Sim Card, BSNL will collect e-Visa copy and the first page of passport from foreign tourists on arrival at the airport. This facility is only available for tourists arriving in India on e-Visa. Sim cards will be pre-loaded with a value of Rs. 50 talk time and 50 MB data and will be activated on immediate basis so as to enable them use this facility instantly. This initiative is also aimed at providing connectivity to foreign tourists to enable them to stay in touch with their near and dear ones and also help them to contact with the 24×7 Multi lingual toll free helpline of Ministry of Tourism for any assistance and guidance during times of distress / medical emergency, etc.